Can you believe it’s already mid-July? 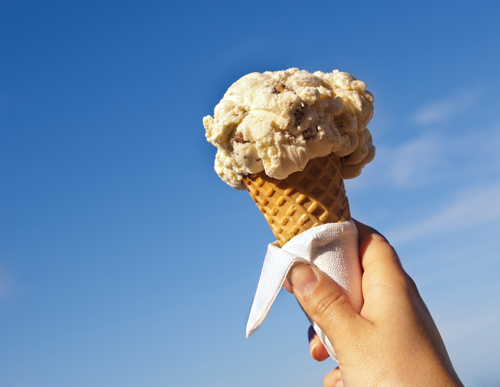 On a sizzling summer day, there’s nothing better than some delicious ice-cream. If you don’t already have a favorite spot around Third and Valley, we’ve listed our favorite shops and hope you enjoy them as much as we do! Cold Stone Creamery – If you’ve ever been to a Hibachi restaurant you know that the chefs always put on quite the performance. The same goes for Cold Stone Creamy but with ice-cream! This is a wonderful place to stop in for some quick dessert. They make everything right in front of you including their delicious waffle cones (which smell unreal). Some of their favorite flavors are cake batter, chocolate, mint, cheesecake and strawberry. Village Ice Cream Parlor – Another wonderful place for traditional ice-cream flavors such as moose-tracks, mint chocolate chip, and vanilla. They are also known for their Hershey Ice-cream, which apparently makes the best milk shakes! We are lucky to have them close to the Third & Valley apartment building! Strawberry Fields – Since opening in 2011, this shop has been serving up the tastiest and healthiest treats in Maplewood and surrounding neighborhoods. They provide you with only the best quality yogurt and excellent customer service. Some of their famous flavors froyo flavors are cookies and cream, peanut butter, cake batter and cheesecake.